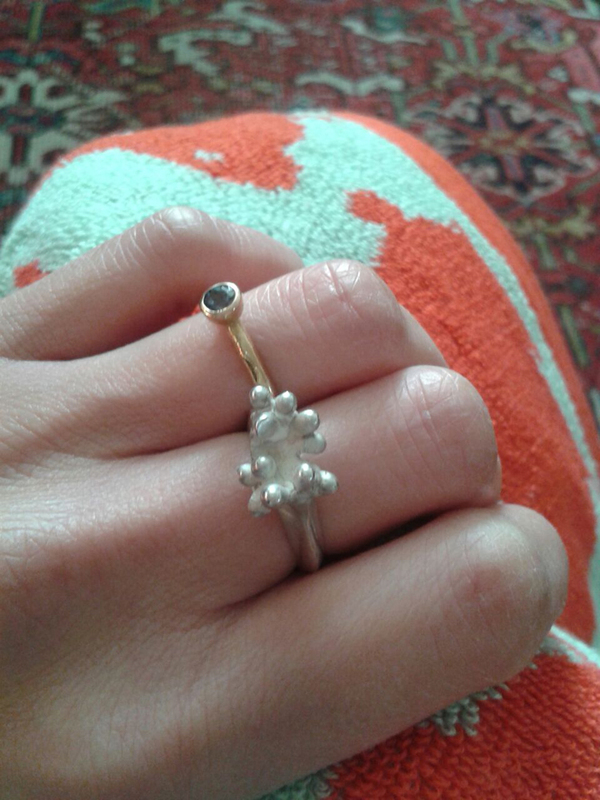 I’ve always been fascinated by jewellery, and working the The Royal Mint has made me think more about precious metals, so I thought I would explore lost wax silver casting techniques last year. 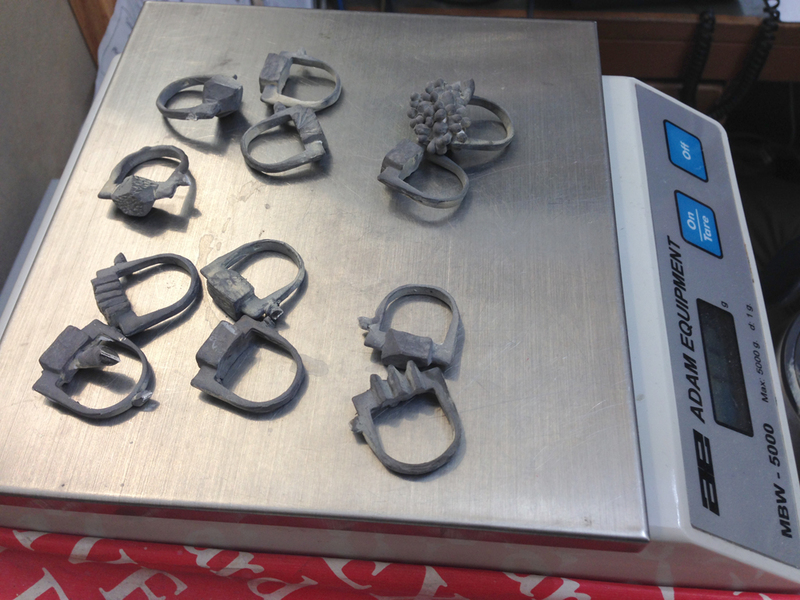 I’d made a few rings when I was studying in Osaka in 1999 so I used these to make some rubber moulds. These could be injected with warm liquid wax: once cooled they could be customised. I experimented with adding to the form with blobs of wax that came out of the machine, and also carving away with a woodblock tool. The completed wax rings had to be stuck to a wax tree, which was then entirely covered in plaster. The wax was melted out, and the plaster put into a fancy machine that poured molten silver into the empty tree spaces. This is what comes out: a dark grey lump of rings attached to the tree like branches. It takes about an hour per ring to file off the stalks, smooth out the edges and polish each one up to the familiar shiny silver finish that we see in the shops. 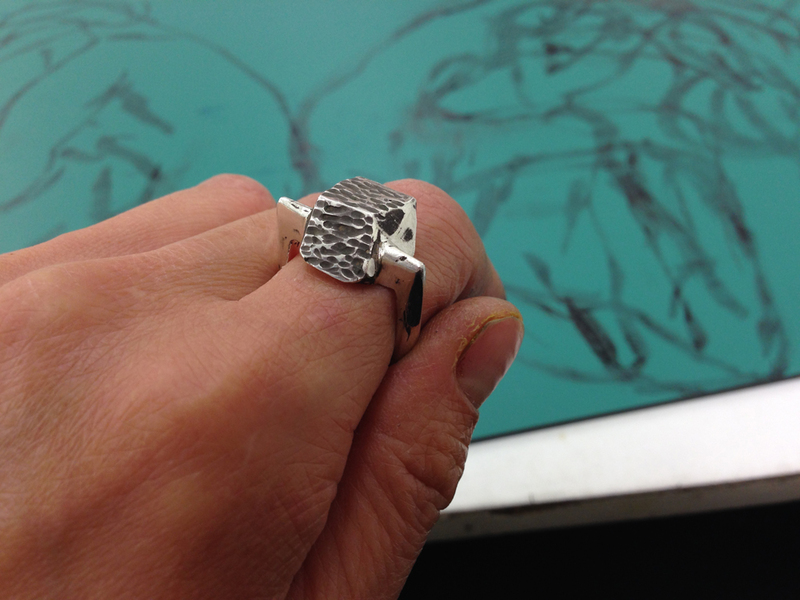 I made 12 rings at a time, and loved the fun of playing with the shapes and forms.